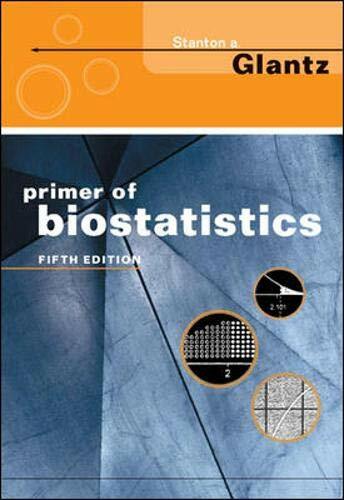 The book is based upon biostatistics courses taught by the authors. It is designed to be used as a self-tutorial if so desired. The explainations and examples are excellent. I have previously reviewed this book. My review pertains to the second edition as that is the only edition I have. Recently I did some consulting for a colleague. He had some data that he wanted to test for the presence of a single outlier. I referred him to the procedures due to Grubbs and Dixon. I also mention the book by Barnett and Lewis which has the most detailed account of outlier methods. However, Barnett and Lewis is so detailed that it can be overwhelming for a beginner. Fortunately my friend has a copy of Sokal and Rohlf's book. I believe he has the same second edition that I have. They provide a good elementary treatment of these methods and have tables to use. Unfortunately, I discovered that the tables are in a separate supplement. My colleague has the supplement but I don't. The reader should be aware that the supplement is needed to implement some of the procedures in the book that require tables. It is not expensive but it is essential. I imagine that the same is true for the third edition but I am not sure. Regardless this is an excellent refer for biostatisticians and practitioners including regulatory affairs analysts and medical writers. This book has served well as a reference source on biostatistical methods for statisticians and non-statisticians alike. It includes many of the important topics. It provides detailed descriptions of regression, correlation and analysis of variance. It emphasizes the required assumptions. It is written at an introductory level. It also covers aspects of biological data and special topics such as "combining probabilities' (i.e. meta-analysis), randomization tests (i.e. permutation methods such as Fisher's exact test), and the jackknife. Important topics that are not included are survival analysis, sample size determination and Bayesian methods. This book and BIOSTATISTICAL ANALYSIS by Jerrold Zar are my main "go to" books when I have questions about statistical methods, applications, or interpretation. Zar's book is probably the more understandable primer text on statistics of the two, but BIOMETRY is better at addressing non-parametrics, though it is certainly not a comprehensive treatment of that field of statistical analysis. I typically go to Zar first, then to Sokal and Rohlf -- a great one-two combination that takes care of most of my statistical needs. I appreciate the inside covers of BIOMETRY, with its summary table that provides a starting place for choosing the most likely statistical tests for a give comination of numbers of samples and numbers of variables in an experiment. You should be advised that the book BIOMETRY does not contain tables of critical values. You will need to purchase the book STATISTICAL TABLES by Rohlf and Sokal to get them. All in all, an excellent book on statistical methods. 4.5 to 5 stars...I'll give it 5 stars. I took Biometry as a course at Stony Brook with Rohlf. I think the book does an excellent job at building a conceptual understanding of what different statistical techniques are used for. Coming out of the course (which was essentially Rohlf reading his book to us), one develops an excellent ability to look at an experiment and determine what type of analysis should be done. This is pretty damn important. What the book fails to do is, once you know which test to use, help you analyze your data using popular statistical programs. Other texts (e.g., Tabachnik and Fidel) appreciate that knowing which test to use is only half the battle. Biometry is weak at helping you actually run tests. A Practical, Up-To-Date Guide To Modern Methods In The Analysis Of Time To Event Data. The rapid proliferation of powerful and affordable statistical software packages over the past decade has inspired the development of an array of valuable new methods for analyzing survival time data. Yet there continues to be a paucity of statistical modeling guides geared to the concerns of health-related researchers who study time to event data. This book helps bridge this important gap in the literature. * Identification of the scale of continuous covariates. * The role of interactions in the model. * Interpretation of a fitted model. * Assessment of fit and model assumptions. * Recurrent event models, frailty models, and additive models. * Commercially available statistical software and getting the most out of it. This book provides a good, clear, concise explanation of Cox's proportional hazards models. For someone seeking a non-mathematical description this is a great guide. The original datasets from the text examples can even be downloaded and you can go through the same process yourself. Because of some mistakes in the text, I would recomend looking at other sources as well. 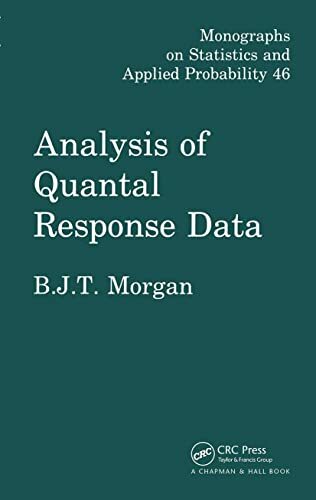 I enjoyed the authors' book on logistic regression analysis in 1989, and this book is just as good, or better, with many extremely practical suggestions on building regression models for survival data. Happily, the authors summarize, compare, and contrast several major texts on survival analysis which have appeared in the past 10 years. For example, they discuss different names used by different authors for score residuals. 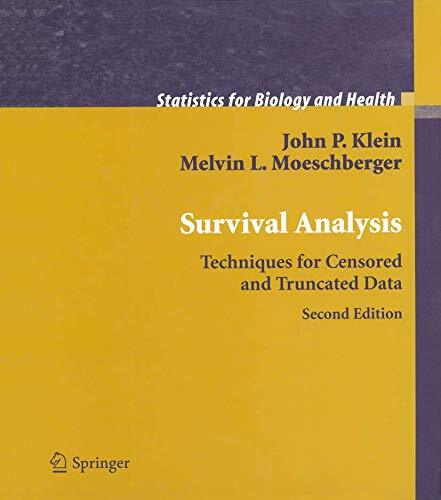 They present a helpful appendix on the counting process approach to survival analysis, which will make more advanced texts accessible to students; thus, anyone who wants to use survival analysis, at any level, should consult this book, even if he has already studied books by Miller, Lee, Collett, Fleming-Harington,Andersen, et al, etc. An unfortunate drawback to this book is that the first printing contains many careless errors, some of which may affect student learning: for example, the definition of a survival function is misstated. I recommend that you insist on the second or third printing when buying this book, and you will be quite satisfied. Hosmer and Lemeshow have given us a clear, nontechnical introduction to using survival models. The book strikes a good balance between covering the basics and addressing the most recent, state-of-the-art techniques, including repeated events, frailty models, and others. They also do a good job of addressing practical issues, including estimation details and available software. While most of the examples are drawn from medicine and biostatistics, this book could also serve as a useful starting point for social and behavioral scientists interesting in learning the fundamentals of these models, as well as a useful reference for applied researchers. Some of the software commands in this book are already outdated, esp. in bioconductor. If you need to analyze a microarray data and you do not know much about the algorithms, this book gives an overview what is available. To get more insights about the theory, can check out EXPLORATORY AND ANALYSIS OF DNA MICROARRAY AND PROTEIN ARRAY or the research papers published by the authors. There is no one best method for analyzing microarray data, so don't expect a miracle from this book or any others. I thumbed through a copy of this book, but I admit I haven't read it. It just doesn't meet my needs. It's about a number of software packages available for analyzing microarray and related kinds of data. Different sections of the book seemed to range from brief surveys to fairly detailed how-to chapters, by different authors, describing different packages. I'm interested in microarray data analysis, but I want the more theoretical material - the basic computations and the principles behind them. Details of statistical and analytic techniques were too scattered, if present at all, to hold my interest. Its obvious from reading the first few chapters that the authors lack a basic understanding of the subject. For example they talk of Odds Ratio as if it was same as Relative Risk. The good thing is that they cover everything - you only have to be careful while reading it. The errata in the book is pretty obvious but the authors seem to have no time or inclination to update the website of this book. A hard plus if your looking for pregrad. 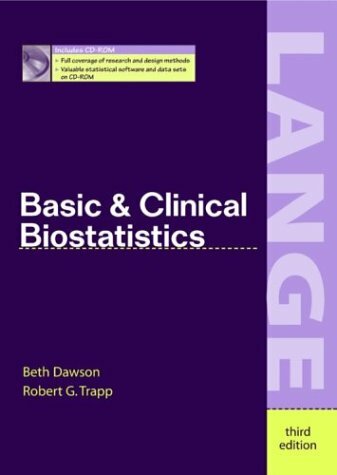 introductory clinical biostatistics. However I agree with other reviews that the layout or format could be arranged more powerfully, and the mechanics explained with more and better examples with a little more detail. Some of the examples in the book are excellent. I, especially, liked the Methods for Analyzing Survival. I disliked the explanations on statististical power as well as calculating sample populations necessary (n=? )to obtain clinical significance. This book is a good bone to start knawing on, however, the meat is found in other supplemental texts; therefore, reference footnotes are needed which- nowadays- should include, reference books, journals and webpages. 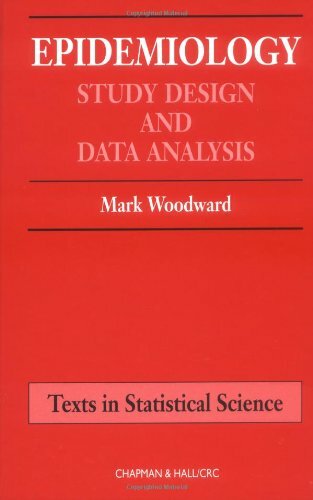 If you are looking for a book that will teach and train you in the concepts and mechanics of biostatistics, don't buy this one. The lay-out of the text is too cramped. The definitions and explanations are often poorly worded. The sections within a chapter seem to be presented in an anti-logical manner. If you really want to learn biostatistics, try Rosner's Fundamentals of Biostatistics. Check out this one from your college library (if you really want to look at it) but please don't spend your money on it. Applied statisticians in many fields frequently analyze time-to-event data. 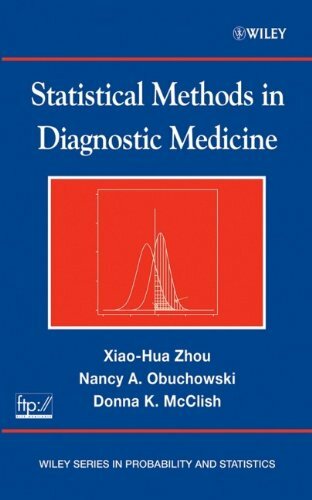 While the statistical tools presented in this book are applicable to data from medicine, biology, public health, epidemiology, engineering, economics and demography, the focus here is on applications of the techniques to biology and medicine. The analysis of survival experiments is complicated by issues of censoring and truncation. The use of counting process methodology has allowed for substantial advances in the statistical theory to account for censoring and truncation in survival experiments. This book makes these complex techniques accessible to applied researchers without the advanced mathematical background. The authors present the essentials of these techniques, as well as classical techniques not based on counting processes, and apply them to data. In this new edition, most of the errata are corrected and the texts are explained in a more detailed way. The formulae are correct and the examples are explained in a more direct and expressive way than that in the 1st edition. The most valuable one is its Theoretical Notes and Practical Notes. They show a lot of different points of views. A good-buy and must-read for those want to have an intense level in Survival Analysis. Suitable for elementary and intermediate candidates to read and study. In this new edition, many errata are corrected and each of the theories has a reason why this is true. Although they may be more practical in view, it is very good to use them to learn Survival Analysis, which is more realistic in sense. In its Theoretical Notes and Practical Notes, there are a lot of different views and sights to show that which is the best to use. The examples are more or less good one and explained in a more detailed way than that in the 1st edition. A good-buy and must-read for those want to have a thorough view in this aspects. Read them carefully! Better than Cox's in this new edition. Buy and read this new edition! I don't want to say hard words, but this is really a completely USELESS book. It says nothing but only presenting tons of lengthy, non-understandable formulas, without a single explanation. Why would people need such a JUNK book? There are people that need it. It is a prescribed textbook for Society of Actuary course 4 exam. Other than those guys taking this exam, DON'T TOUCH THIS BOOK. P.S. : Many of those formulas in the books are wrong. Murphy's Law of College Textbooks: When an author prepares a textbook on a topic he doesn't understand thoroughly, his work will only be understood by those readers who understand more about the topic than the writer . . . thus defeating the prime purpose of writing, which is to inform those who understand less about the topic than the writer. While mapped data provide a common ground for discussions between the public, the media, regulatory agencies, and public health researchers, the analysis of spatially referenced data has experienced a phenomenal growth over the last two decades, thanks in part to the development of geographical information systems (GISs). This is the first thorough overview to integrate spatial statistics with data management and the display capabilities of GIS. It describes methods for assessing the likelihood of observed patterns and quantifying the link between exposures and outcomes in spatially correlated data. Clearly and logically set out starting with the reasons for medical statistics and how studies are designed and moving logically to the methods used. All practicing doctors need to know something about medical statistics. This is a very good place to start. It is written for non-mathematicians but has enough mathematics to justify the information presented and stimulate further interest. 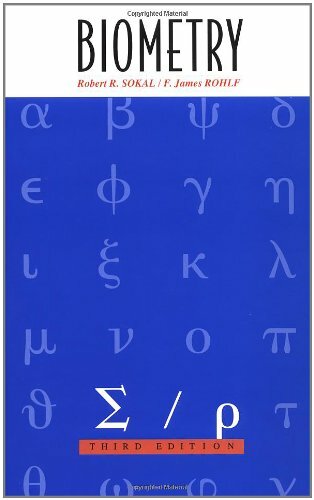 It is a relatively short book with clear logical explanations rather than flashy illustrations and computer graphics. Also provides exercises, essential in all mathematical subjects. This is the second edition of an excellent introductory text for medical students similar to Doug Altman's. 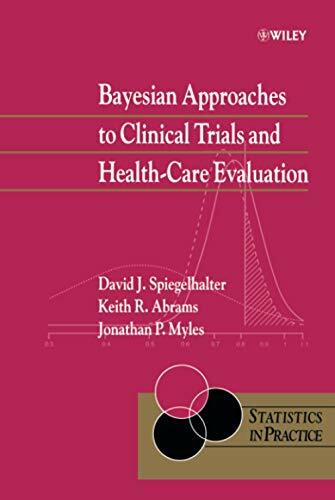 Bland covers the basics: designing clinical trials and epidemiological studies, data collection, summarizing data, basic probability, standard errors and confidence intervals along with tests of significance (both parametric and nonparametric). 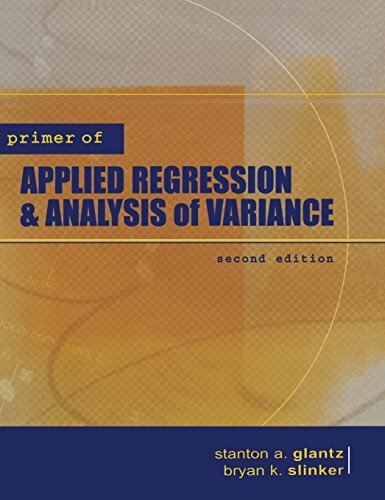 Various types of regression methods are covered and this edition adds Cox proportional hazards models and meta-analysis. 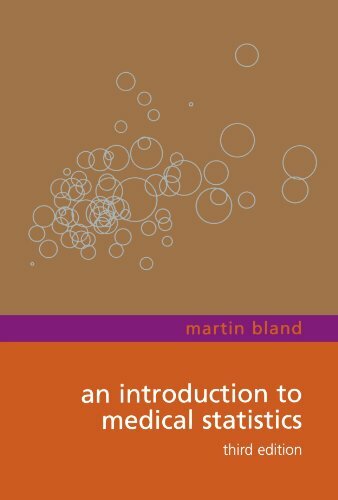 Many exercises and examples are taken from Bland's 20 years of experience as a medical statistician. It is noteworthy for dealing with sample size issues in Chapter 18. Mortality statistics and life tables are covered in Chapter 16. This book is very unique. Basic statistical concepts are clearly presented but only those concepts that are important in clinical trials. The author presents all the issues with clinical trials including ethical issues with some historical perspective. Principles of randomization and statistical design are clearly presented. It offers discussion of Bayesian techniques and meta-analyses, cross-over designs and group sequential methods (interim analyses). 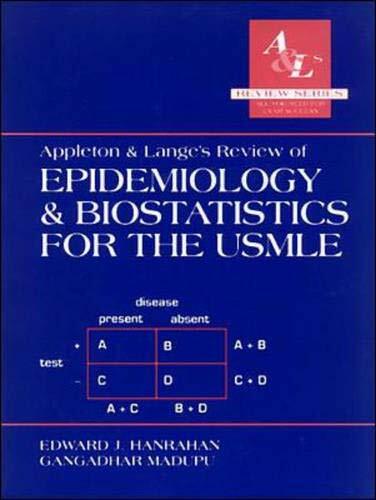 For statisticians doing clinical research like myself, this is a valuable reference source. The amount of knowledge and the scope of this book are the exact need for the first contact with clinical trials. Yet, it is not a simple or superficial text. Instead, it not only will guide the reader through the basics of trials (and there is so much that is not basic in it) but the author points the reader to hundreds of papers and books that are landmarks. I regard this book itself as one of these landmarks! You'll start with the basics, including analysis of variance and the t test, then advance to a multiple comparison testing, contingency tables, regression, and more.Examples from the current literature illustrate key concepts throughout. The concept of this book is good-cut to the chase and give lots of relevent examples. However, the book has innumerable typos which can make it very dificult to follow the text. Some sections are just incomprehensible such as the section on power calculations for the chi square test. Most of the exercises at the end of the chapter are heavy on arithmetic and light on conceptual issues. Often the answers to the exercises are wrong. All these typos are really unacceptable for a fifth edition. I am at Amazon looking for another text to keep as a reference. By way of disclaimer, I am taking the author's course on introductory biostatistics and am doing average. 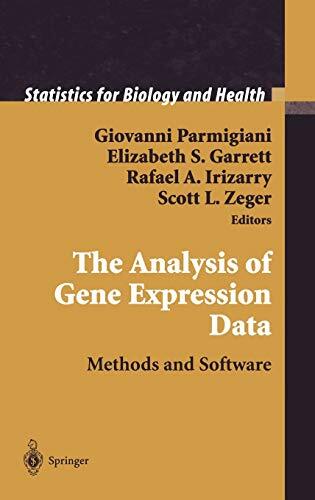 I adopted this book last year for my first year grad level course in biostatistics (for MS Biology students) and my students and I were very unhappy with it. It presents ANOVA in a very unusual (and confusing) way, and it's not easy to find the needed formulas buried in the text. The authors present some tests well (ex. Tukey) and make a very good point about the misuse of the standard error of the mean. The examples and end of the chapter problems are very good for medical applications; however, several of the problems refer to non-existent tables or problems (or ones that are numbered differently) and several provide answers that are just plain wrong! We compiled a list of errors we found and emailed both the first author and the publisher and never received a reply. It was definitely not worth the aggravation! This year we are using Biostatistics: The Bare Essentials. It, too, is flawed, but the students report that finding the appropriate formulas and examples is relatively easy. It doesn't provide enough problems for each chapter to test you knowledge, and the humor is a bit bizarre, but it is a better teaching text. Cuts through the goop - how to DO statistics!!! 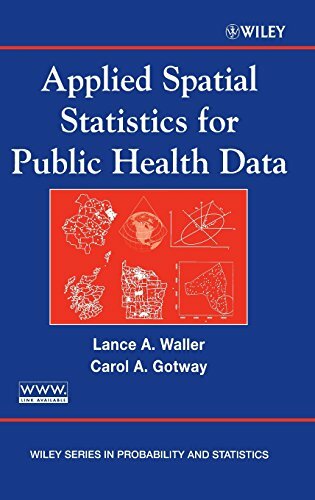 After buying and reading a number of crummy statistics books I stumbled across this one which is a lifesaver I will keep FOREVER. Clearly written and very hands-on. THIS is the book if you need to DO statistical analysis RIGHT NOW - and know what it MEANS. I should add that I'm an engineer, not a biologist or physician, but the techniques and information are suitably general for ANYONE who needs statistics to do their work. 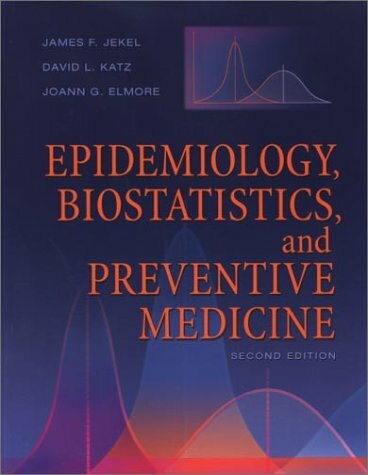 Truly one of the best bio-statistics books available. Should be required reading for all physicians! I found this book rather interesting, with a nice mix of methods and applications. I intended to use some of the examples in a course that I am teaching. There are many examples given which use data sets to illustrate important concepts. However, I was unable to access several of these data sets. I contacted the author and mentioned that I was particularly interested in accessing two of the data sets that were referenced in the book --- his reply was that data sets for the book were available at a specific URL. Indeed there were several data sets at this location; but, not the data sets that I had mentioned in my inquiry. I did a lot of searching on my own for these data sets. One of these supposedly came from Sweden; but, after extensive searching through several Swedish databases I found nothing on this particular data set. I contacted the author again and requested at least a reference or link to these data sets --- no reply to my request has been received (after 11 days). I feel strongly that all data sets referenced in a book of this type should be available to the readers. If not, then they should not be used in examples. Manly is an excellent writer who has written several excellent texts and is an editor of a biostatistics journal. This is a revision of a very popular text on randomization or permutation methods. Because of the immense popularity of bootstrap methods (a similar resampling procedure), he elected to add some coverage of the bootstrap. All topics are covered in a clear and scholarly style and examples from biology are given. The interested reader might also look at Good (2000), Permutation Methods, 2nd Edition, published by Springer-Verlag and Edgington, Randomization Tests published by Marcel Dekker for other accounts on permutation tests. 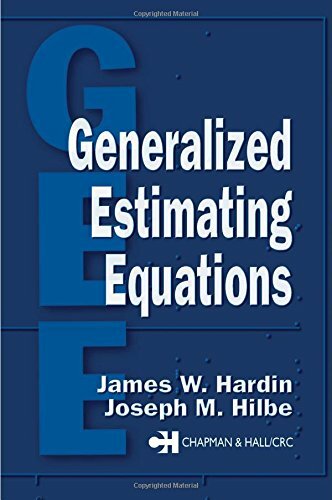 There are now several good books dedicated to bootstrap methods including Davison and Hinkley (1997), Cambridge University Press, Efron and Tibshirani (1993), CRC-Chapman and Hall and Chernick (1999), John Wiley and Sons, Inc.
GEE is an extension of the Generalized Linear Models that handles the correlation structure found in panel data and longitudinal or repeated measures analysis. The idea goes back to a paper by Zeger and Liang in 1986 and is well cover in their 1994 book with Diggle and its most recent revision. However, over the years the statistical packages have implemented GEE and variations of it in many different ways. This important new book not only provides a detailed description of GEE for theoreticians and practitioners but it also presents comparisons of how the various software products implement it. The packages include GLIM, SAS STAT/GENMOD, S-PLUS, Stata and RTI's product SUDAAN (designed specifically for survey data). This book covers 30% of statistical methods used for 90% of medical studies. It opens with databases from clinical medicine and uses such data throughout to give multiple worked-out illustrations for every method. In contrast to a traditional text, it provides two parts: (I) an introductory text for students in medicine, dentistry, nursing, pharmacy, and other health care fields, and (II) a reference manual to support practicing clinicians in reading medical literature or conducting research study. The textbook part starts at ground zero in mathematics and covers only the basic concepts and the most frequently seen methods in biostatistics, following the philosophy that what the student remembers five years after the course is the important issue, not what is forgotten. The reference part is written to allow topic hop-about rather than a required sequence of reading. It is well indexed to find topics and terms. A great effort has been made to make it user friendly and the foreword has been written by VADM Richard Nelson M.D., Surgeon General of the Navy and Chief, Bureau of Medicine and Surgery. Comprehensive, succinct with relevant examples that make the teaching points clear to even a non-biostatician like myself. I have used this book in helping me to design clinical studies and it was extraordinarily useful! Thank you Dr Riffenburgh. What can be said that Dr. Chernik has not already written? I am learning my statistics for epidemiological purposes and laboratory methods. This book is fun because the descriptions of the tests are succinct and it is replete with examples using medical data. I have been using it as a quick reference for statistical methods that I read about in journal articles, but have not had formal training in or experience with. This book is complementary to by basic stats book. This book is a must for amateur biostatisticians. This very recent book is already getting rave reviews from health professionals particularly in the US Navy where Dr. Riffenburgh is known. I recently met Dr. Riffenburgh at an ASA chapter meeting in San Diego and again at the Joint Statistical Meetings in Indianapolis this past August. The Foreword by Vice Admiral Richard Nelson sets the stage for the book and praises Dr. Riffenburgh. I am a biostatistician working in the medical device industry. Last year I taught an introductory course to health science majors at Cal State Long Beach. Had Dr. Riffenburgh's book been out I may have used it. In the future if I teach the course again before my own book comes out I would use it. Dr. Riffenburgh has a wealth of experience working on clinical trials and medical problems that require statistical analysis. He has a good fundamental understanding of statistical methods and a sense from his experience as to what topics are important to medical researchers. Although he was not formally trained as a statistician he understands statistical methods and the subtleties of the subject. He is sympathetic to the students who do not have strong math backgrounds and conveys the ideas clearly to them with the aid of several carefully selected data sets. The book is very unique in that it is constructed to be two books in one. He wants to meet the needs of students who need to understand the basics of biostatistics so that they can appreciate, understand and evaluate the medical literature. Part I, consisting of chapters 1 through 9 is designed for them. The second need is for a reference text for physicians and other medical researchers who will need to use statistical methods in their work and publications. Chapters 10 through 21 are designed for them. As he states in his preface the text is aimed to be a 30/90 book. By this he means that it covers 30% of the statistical methods in common use but based on survey articles of methods used in medical journals it covers 90% of those techniques. He claims that 82% are covered in Part I and the remaining 8% in Part II. Part I is an elementary text that is written in a tutorial fashion and introduces concepts through the data examples. 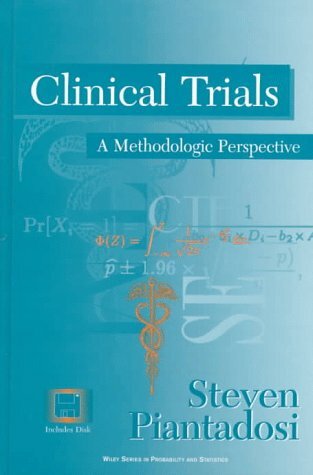 It is well written and does a good job of explaining important ideas such as the difference between clinical and statistical significance, the interpretation of confidence intervals and the idea that the classical statistical approach to hypothesis testing is designed to reject the null hypothesis and not to "prove" it. Consequently he warns the readers not to conclude that the null hypothesis is accepted just because a particular test does not reject it. Part I covers most important elementary topics. Part II repeats much of the material in Part I but presents it a little differently. In these chapters the material is presented in easy to use reference style using a lot more formulae. The level of the second half is a little higher and includes some more advanced topics (the other 8%). Topics covered in Part II but not Part I include sequential methods, meta-analysis, time series methods and survival analysis. Actually survival analysis is briefly discussed in Part I under epidemiological studies. Another unique feature is the section of chapter summaries at the end of the book. This is sort of a Reader's Digest summary of the book that highlights the key results for those who want a reference source but may not have the patience to read through the material or those who after taking the course want a quick refresher. I have never seen this done before but I think it may have some value. I believe that Dr. Riffenburgh has succeeded in his goals and I admire the fresh approach that he has taken. It is very difficult to avoid much of the basic mathematics without losing some of the important concepts and foundation to the subject. Many authors that try, fail miserably. On the other hand authors that include too much mathematics scare off many of the students that the text is targeted for. Riffenburgh with this book and Motulsky with his book "Intuitive Biostatistics" have both carefully crafted a text that succeeds in this goal. I did give the book four stars instead of five. This is because I think there are a few important topics in biostatistics that are not included or are covered too briefly. These include equivalence testing, group sequential methods, intention-to-treat analysis, methods for handling missing data and longitudinal data analysis. The author deserves recognition for including important topics such as meta-analyses, non-parametric methods, logistic regression, sensitivity and specificity and survival analysis methods. These topics are often omitted from elementary courses but are all important in biostatistical applications. Best Stats Book Ever...for those afraid of stats ! Dr. Riffenburgh has done an excellent job of "capturing" his audience and drawing them in without fear or confusion. Statistics can be overwhelming for the health professional and he has given them the tools to prepare proposals using statistical applications easy to understand and employ. I wholeheartedly recommend this book to any professional, novice or seasoned to the research process as a tool for success in the research process. Members of my research team in the Navy are using this book with ease and confidence. Thank you Dr. Riffenburgh for making a painful process very enjoyable and empowering ! 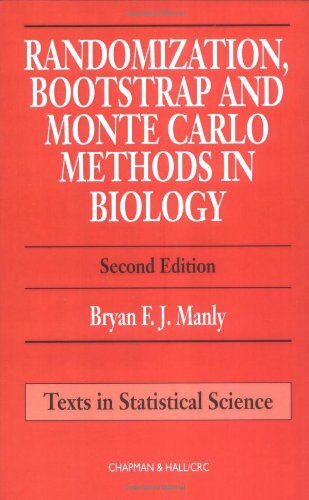 The best second book of statistics for biologists. Once you've learned the basic principles of statistics, how can a biologist learn more advanced techniques? Many books focus on math rather than on understanding concepts. Other books are too narrow -- discussing only a single method. And books that focus on multiple regression and ANOVA tend to have examples from psychology and social sciences. Glantz and Slinker do a great job of explaining the principles of multiple regression, analysis of variance, and analysis of covariance. The focus is not on mathematical proofs, but rather on making sense of the results in the context of biological and medical research. This book also has excellent chapters on linear regression, nonlinear regression (curve fitting) and logistic and proportional hazards regression (regression when the outcome is an either-or binary variable). New to the second edition are a chapter on analysis of covariance, more extensive discussions of multiple comparisons methods, and a discussion of Cox proportional hazards regression for analyses of survival data. The title is a bit misleading. This is not a "primer" of statistics. But once you've learned the basic principles of statistics, this is THE book for biologists to learn about various kinds of ANOVAS and regressions. 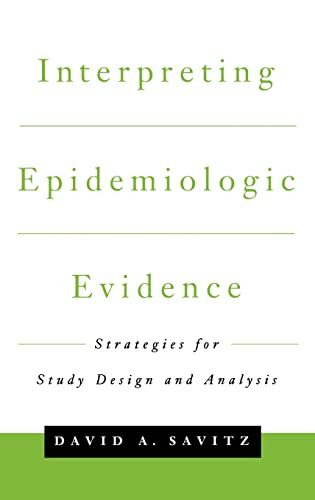 This book can both be used as a first time introduction to epidemiology and the most popular statistical methods employed in health research, but also for looking up things when you need it, since it is actually quite thorough on a lot of subjects in the field. This is, however, not the best thing about the book.